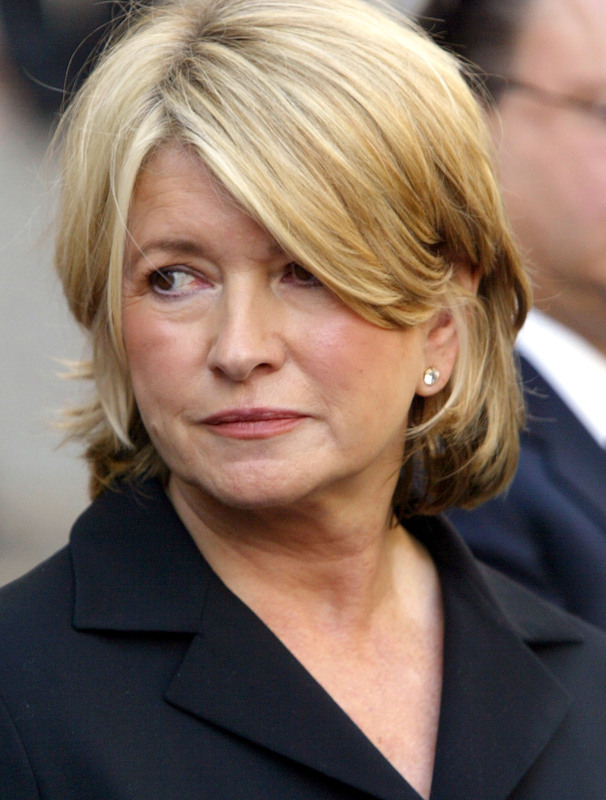 Martha Stewart's got beef with seemingly every tall, svelte blonde actress turned professional homemaker that wants to get into the lifestyle business these days. Which is at a total count of approximately two people — Blake Lively and Gwyneth Paltrow — but still, Stewart's made sure they feel exceedingly, passive aggressively unwelcome on her home turf. And now, Gwyneth Paltrow's feud with Martha Stewart is heating up with Paltrow leveling the playing field... or at least trying to. I mean, I can't very well blame her. Stewart's done just about everything besides angrily hollering, "Get off my lawn!" Or maybe she has, I'm not really the best on keeping tabs with Martha. She's an absolute sleuth. Anyhow, while poor Blake Lively was most definitely the wide eyed Taylor Swift to Stewart's menacing Kanye, Paltrow is older and wiser and I suppose better versed on how to hand it to someone without actually ya know, handing it to them. So, as Us Weekly relays, in response to Stewart's pie filling column she dubbed, "Conscious Coupling," Paltrow went ahead and baked her own insult in the form of, "Jailbird Cake" recipe which was featured on Goop. To which I give a definitive, high pitched, Rebel Wilson circa Pitch Perfect screech of unsettling awkwardness. While both women were certainly, reserved, in their cleverly cruel jabs (and honestly, Jailbird Cake might not have really been a jab at all) let's not forget they're doing this with pie. And I'm not sure I can forgive that the two of them are ruining dessert for me in the process. Anyway, I have a few ideas up my sleeve how both Stewart and Paltrow can settle the score once and for all in the form of other intense, brow beating, lifestyle-esque activities. But only with people who've ever eaten store bought crusts and don't wash their produce before eating. One by one. May the lady with the most stamina and pretentiousness win. There is no middle. There is no tie. Only one person makes it out alive. Idk if this would go over too well for Martha because Gwyneth's got Beyoncé in her corner and well, there's no beating Beyoncé, really. This could get real ugly, real fast.